Why Is the Front Entrance Door Important? The front entrance of your house is where the main known traffic of people made up of friends and colleagues and family members walk through at various times during the night and day. 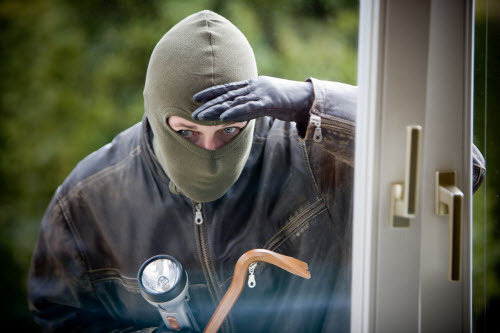 Surprisingly, it is also the most common entry point that burglars use when going about their distasteful business. This is flagged behaviour and every attempt should be made to discourage or eliminate it. You are invited to use the expertise of Serious Security otherwise even the most sophisticated security system may be ineffective if it is not professionally installed. We have our favourite jobs, hobbies, passions and preferences and so do thieves believe it or not. Their favourite activity is to cast a sweeping look at their target and look for any weak points that may give them an opening to gain access to the main building and the loot. They will look mainly for basement access, side doors, entrances to your garage area and poorly fortified windows. Their favourite targets are areas not always frequented like the laundry area that has access to the main house and dark areas such as the back or end of the house. At Serious Security, we provide the best security monitoring systems that will deter burglars from your house. One are the many types of lights that can light up any part of your home during the night. We can help you position the lights for maximum effect and deterrence. The same goes for CCTV surveillance cameras of all descriptions that we also store in abundance. We can provide these cameras at very affordable prices but their price does not reflect the kind of security that they provide for your home. These days, there’s a myriad types of security alarm systems that we provide to customers and each one of them is of top quality software and hardware to go with them. The security of small areas can be catered for by our single but very efficient cameras. We can provide multi-room cameras that can cover separate large areas such as the living room or outdoor balcony and patio. We also have centralized security systems that can cover the whole house and we can also install hidden cameras that will really take uninvited guests by surprise.